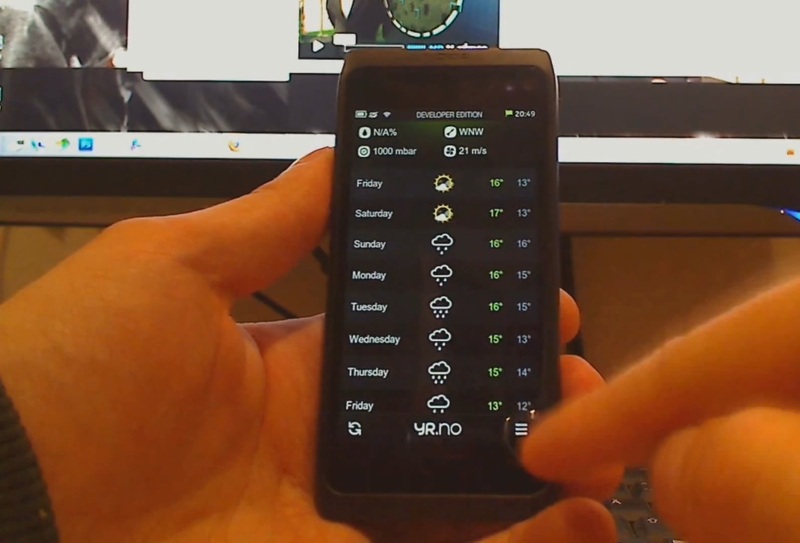 Here’s a weather app for MeeGo-Harmattan demoed on the Nokia N950 developer handset. It looks good, fitting in well with the MeeGo-Harmattan UI. I’m not sure if this uses GPS, but you can set your location manually. You can also set which particular weather services to show (three are shown in the video) as well as setting units for temperature and windspeed and iconsets.